Bring your shade with you to the beach with our wide-brim straw hat, or tame your mane with our sustainably-produced headbands! Constructed in the style of an authentic Sahuallo Cowboy Hat, this 100% natural grass hat a trad.. 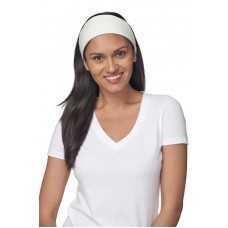 This eco-friendly headband is made from soft, comfy fabric! Wear at the beach to keep your hair .. The Women's Organic RPET Beanie is an eco-friendly way to show off your unique style. Pair it with..